TOP NOTCH VACATION! This has to be the best hotel we have ever stayed in and we have travelled extensively all over the world. We stayed for 10 days for our 40th anniversary and they went out of their way to make it so special. The food is excellent in all of the restaurants. Every time we turned around they were delivering champagne to the room. On the day of our anniversary they did a special celebration and we found it all when we returned to the room. The service is impeccable! Thank you Jorge, Karen, Vanessa, Pablo, Olivia and Irene. You did an excellent job. And thank you Beth and CancunAirfare for getting us such a great deal and great service! We can't wait to return! 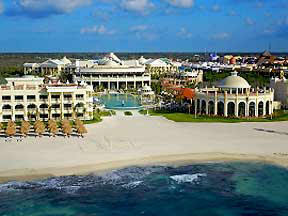 Sample the finest Mexico and the Caribbean have to offer by staying at an Iberostar Grand Resort. Experience the ultimate in all-inclusive luxury. Pristine beaches, turquoise water and swaying palm trees abound. At Iberostar's Grand Hotels, your every whim is fulfilled with personalized butler service and a world-class spa. Each suite is meticulously designed and Iberostar has spared no expensive in creating these opulent playgrounds reserved exclusively for adults only. No matter which Grand Hotel you choose, Iberostar Grand Hotel Paraiso - located in Riviera Maya, Mexico, the Iberostar Grand Hotel Bavaro, on the incredible Bavaro beaches of Punta Cana or the Iberostar Grand Hotel Rose Hall in Jamaica - you'll discover three places on earth where the reality surpasses the dream! MAKE THIS A VACATION EXPERIENCE NEVER TO FORGET! From the spectacular white-sand beach to the exemplary service, the Iberostar Grand Hotel Paraiso, Iberostar's premiere adults-only resort provides the perfect setting for sensational Mexican getaways. Inspired suites boast splendid views of the Caribbean while the premiere dining, opulent spa, 18-hole golf course and nightly entertainment ensure unforgettable stays for each and every guest. RECENTLY OPENED - Get to know this brand new Grand Hotel in Punta Cana! 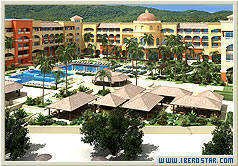 It is Iberostar´s first adults only "All Suites Hotel" in the Dominican Republic, allowing you to enjoy. 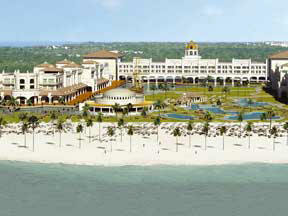 Indulge in 5-Star Luxury at the adults only Iberostar Grand Hotel Rose Hall just minutes outside Montego Bay, Jamaica. Offering the premier components of our Grand Collection with the ultimate levels of luxury, gourmet cuisine and impeccable service including butlers who cater to your every desire. The seductive charm of this architectural jewel is sure to capture the heart of those in search for the finest vacation experience.